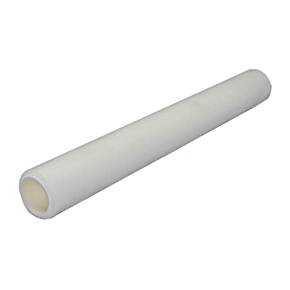 PRODUCT: 18" WIDE SHED RESISTANT POLYESTER, 1/4" NAP, REUSEABLE ROLLER COVER. RAM PREMIUM BRAND. FITS STANDARD 18" ROLLER FRAMES. 12/CASE. PRICE/CASE.